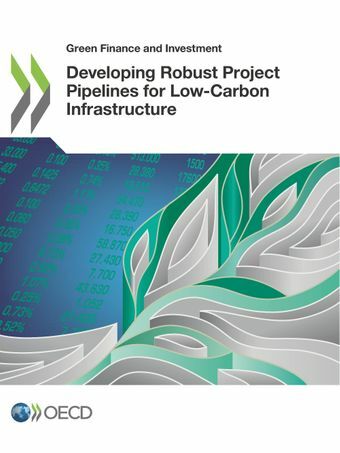 This report aims to provide policy makers with a comprehensive examination of “project pipelines”, a common concept in infrastructure planning and investment discussions, and one which has become a focal point in countries’ efforts to implement their climate commitments. The analysis is structured around some basic but important guiding questions, including: What is meant by project pipelines? How can we characterise them? What concrete approaches and actions can governments and other public institutions take to develop project pipelines and mobilise private finance into these projects? This close look at pipelines suggests that they can only be as robust as the investment-ready and bankable projects that constitute them, as effective as institutions that deliver them, and as ambitious as the objectives to which they are linked. Through a series of case studies, the report highlights that while governments and public institutions are already taking actions to develop robust pipelines in a range of country settings, these pipelines nevertheless need to be strengthened significantly to meet long-term climate mitigation objectives. Good practices pioneered by the countries and actors in the case studies can provide models for governments to adapt and bolster their own efforts. For more information, please contact Rodney Boyd and Robert Youngman of the OECD Environment Directorate.